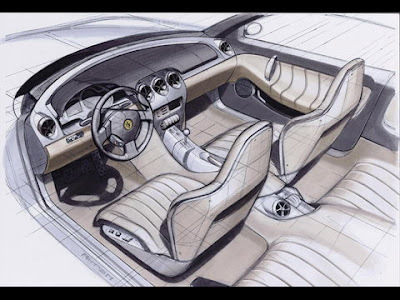 Currently we know the emergence of many automotive products such as cars, motorcycles, commercial vehicles, heavy equipment and so forth can not be separated from the role of Product Designers who contribute their ideas, to give birth to an attractive and functional vehicle forms. And if you are also interested in the Product Designers profession like me, there is nothing wrong if we share about what and how the gait of the automotive product designers. Here I am trying to re-display an old article that have been published in one of Indonesian local newspapers (Pikiran Rakyat - Bandung in 2003). So it can provide positive feedback to make you to be a Product Designer in the future. 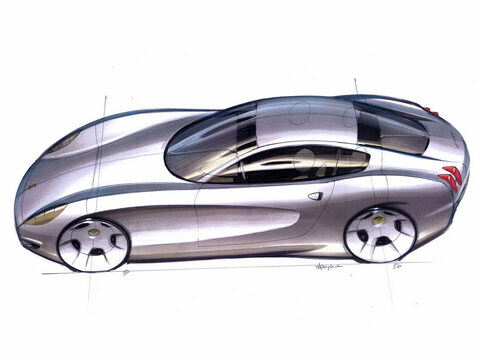 Yes, in the future the profession of Automotive Product Designers will be a very promising and challenging profession. In developed countries that uphold the intellectual rights, the profession and the scope of the designer's work - whatever the frills - are highly respected. The heart of fashion and and industrial designers, including automotive products, seemed to be race to produce innovative forms. So it's not surprising that topnotch designs can be appeared all the time. In every research and design (R & D) rooms is like an automotive companie's "life reserve" warehouse. 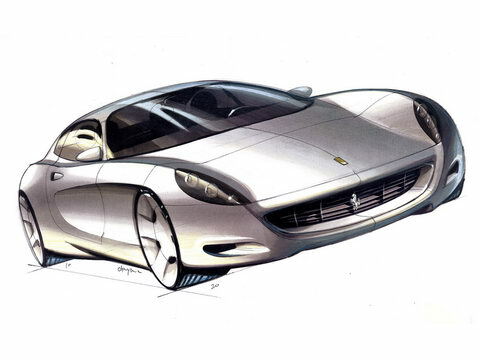 "Because that's where the character of the product is formed," said one of the automotive activists named Mizan Allan De Neve, who is also active in fostering young automotive designers. "The potential and opportunities of our designers are actually quite good, even able to compete in foreign countries," he said furthermore. 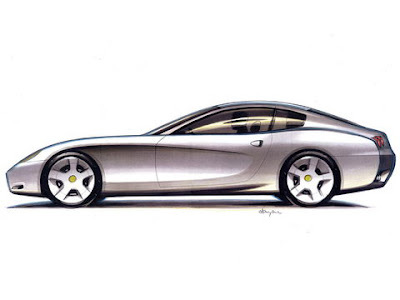 So, what and how are the requirement to be an automotive product designer? He calls the skills of pouring ideas into two-dimensional images as a key requirement. An accuracy is required, since the designer must know exactly the details of their design. So when it will be transformed into a three-dimensional form (model or prototype), there is no difficulty. The natural talent, if combined with the basic knowledge of automotive (at least know the location and how to work of vehicle parts), will form a special talent. "He can master the field three to four times faster than those who have to learn the ins and outs of vehicle components," he said further. Now in Indonesia, at least there are 11 universities or academics having industrial design majors, including automotive. Four of them in Jakarta, namely Universitas Paramadina, Universitas Trisakti, Universitas Indonesia Esa Unggul, and Universitas Pelita Harapan. What if we are interested to study abroad? According to David Cole, Director of Industrial Design, Academy of Art College, San Fransisco, who has more flexible requirements. The most important capital for design learning is creativity and a strong desire to become a designer. "There is no need for special skills," he said on an occasion on the AAC website. 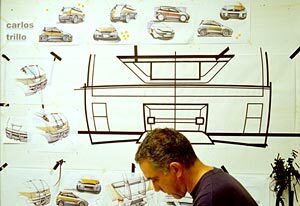 In the US and Europe, schools that teach automotive design are numerous. Understandably, car manufacturers and automotive design houses there are also countless. No wonder the graduate of the school was often the target of a large factory such as Ford Motor Company, General Motors, Audi, VW, and home of leading design, such as Gingko Design, Fitch, Frogdesign, Pentagram, and Astrodesign and many others. David Cole summarizes that in the AAC curriculum there are four teaching areas: drawing, modeling, computerization, and designing techniques. Where the students are taught drawing techniques and modeling in traditional ways and computer aids. "Design tools in each factory are often different. By teaching various alternative ways of designing, so that the students are ready to face the differences, "he continued later. As for the Asia pacific region, art and design schools such as Hongik University are quite popular, as it gets a lot of support from South Korean car manufacturers. In every year, these schools showcase the work of their students. Well, if there is a design that can attract the attention of large car manufacturers, then the designer can immediately get a job offer. A prospective automotive product designer must also be diligent in observing the development of automotive. David further reminded, that next-generation cars will be more smart, because it uses hybrid fuel like hydrogen and others. So the use of space is also more efficient, but on the other hand more and more communication devices and computer-based entertainment will be installed in the vehicle..